Hey River of Life and Friends! This is your 2019 River of Life 21 Day Church Challenge Devotions! No matter how long you have been at River of Life, even if you have just joined us recently, we would like to welcome you to this very special time of year. Each year, 21 days prior to Easter, River of Life enters in to a time of daily devotionals, prayer, and a time in which we especially focus on reaching the lost for Christ. I pray that you will be able to read it every day and that you will grow spiritually through these next 21 Days. It is my intention for you to be challenged daily not only to grow in your own personal spiritual way, but to also be willing to share what you are learning about Jesus our Lord, The Heavenly Father, and the Holy Spirit. I highly encourage you to take time every day over the next 21 days to develop a time for prayer after you read the devotional. 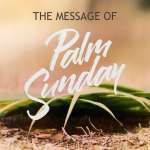 It is our greatest hope that by Easter Sunday, April 21, 2019, you will have reached out to numerous friends and/or relatives with an encouraging word regarding salvation. I know that each of us can find at least one person that we can bring to church at River of Life during this 21 Day Church Challenge and for Easter Services on Saturday, April 20, 2019 at 5:00pm or Sunday, April 21, 2019 at 8:00am, 9:30am or 11:00am. Each day you will be challenged with “Bible Reading”, a “Devotion”, and a “Call to Prayer.” There will be some opportunities for you to write down the names of the people you are planning to invite and to share a prayer request with the Prayer Team through our website, www.riveroflifewellington.org. Let’s join together and make the 2019 River of Life 21 Day Church Challenge the best ever! Hopefully, it’s not too late for you to get to church at River of Life today! Services are 8:00 am, 9:30 am and 11:00 am. I’d love to greet you, pray with you and celebrate with you the Risen Lord that we serve! Today is Good Friday. 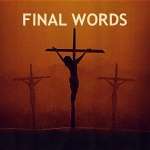 Let’s trace Jesus' steps to the Cross of Calvary. This is the most difficult day of Passion Week. Christ's journey turned horribly painful in the last hours of His life. He would soon be led to the Praetorium to be whipped 39 times with a “Cat of 9 tails.” This was a tool used by the Roman soldiers and when they whipped Him, the claws at the end hooked into Jesus’ flesh. The Roman soldier would then pull the skin open. The Bible says that “Peter followed from a distance.” Peter was overcome with shame but also would not admit he was a disciple. Ask yourself how many times you could have proclaimed Christ and did not. In today’s world, there are so many people that God is wanting to bring back to the fold. I see and hear about people every day that have been away from God, the church, and most sadly, their relationship with Jesus Christ. The Holy Spirit has been showing me that we are able to get them back to a right relationship with God if we will reach out to them the right way. Every day you have a chance to bring that special someone a little closer to accepting Jesus as Lord. There are many ways to do it, but I believe the best way is to just be you! Be the person that God created you to be and the person that God is making improvements on!